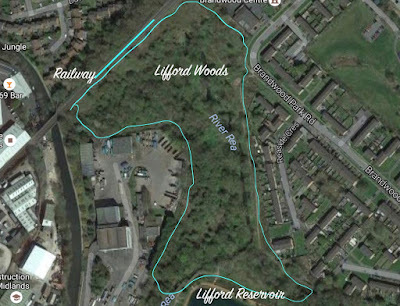 An area of land bordering the River Rea at Allens Croft, with a pathway to Lifford Reservoir and Lifford Hall. The linear woodland runs either side of the river with willows and alders thriving. The site is little used today, with most people passing along the walkway, whilst much of the area is out of the public domain, cut off by railway embankment and the river. 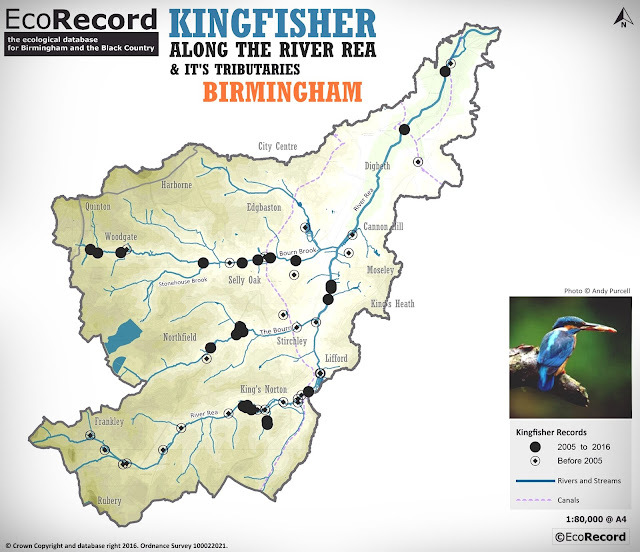 In terms of wildlife, I guess this is under recorded, as are most sites, all records should be submitted to EcoRecord and twitter is a good way of doing this. 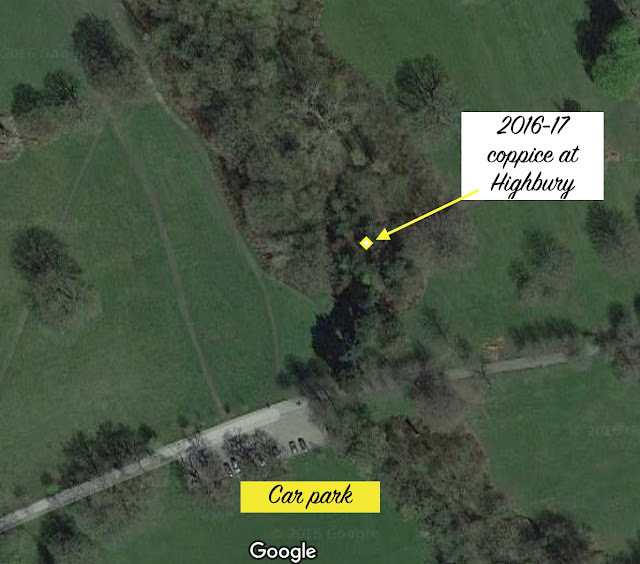 The account below is taken from "Lifford - William Dargue - A History of BIRMINGHAM Places & Placenames"
Coppice - To cutCoppicing is a traditional method of woodland management which takes advantage of the fact that many trees make new growth from the stump or roots if cut down. In a coppiced wood, which is called a copse, young tree stems are repeatedly cut down to near ground level. In subsequent growth years, many new shoots will emerge, and, after a number of years the coppiced tree, or stool, is ready to be harvested, and the cycle begins again.